Colorful magnets to teach kids to master multiplication tables with numbers 1-9. Look at one side of each double-sided magnet for the problem, and flip it over to confirm the answer. 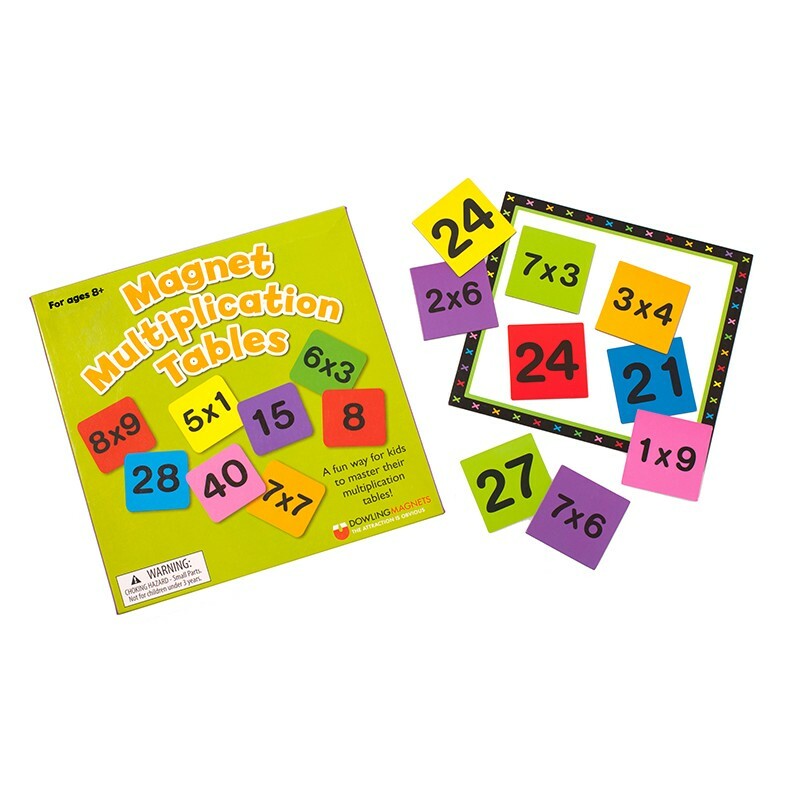 Each set includes 112 two-sided magnetic multiplication tiles, and 1 magnetic white board.